Cannabis has been used as a medicine for thousands of years. Various medical uses were described 4000 years ago by the Chinese emperor Shen-nung in his medical book Pen-ts’ao Ching. Cannabis was mentioned as a medicine in the susruta of India before the 8th century A.D. Today, uses for medical cannabis include treatment of pain, nausea, lack of appetite, sleeping disorders, auto-immune diseases (MS) and glaucoma. Medicann is committed to providing safe access to medical Cannabis products for our qualified patient members and caregiver members in Vancouver. We treat our qualified patient members as individuals, courteously, with integrity, respect and honesty. In doing so, we will continually strive to exceed our qualified patient members’ expectations. We are dedicated to keeping our patients privacy maintained, while providing safe, comfortable, and affordable access to a wide variety of the highest quality medical Cannabis products for their individual needs. 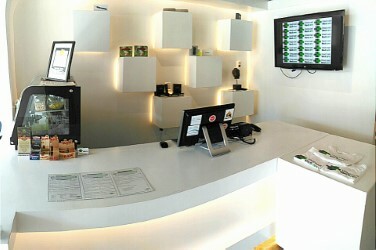 Our mission is to be the best legally and socially responsible Medical Cannabis Collective in Vancouver, Canada. We have worked hard to establish positive relationships with our surrounding neighbours and the City of Vancouver.